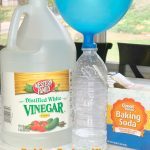 Are you ready for another easy baking soda and vinegar experiment? 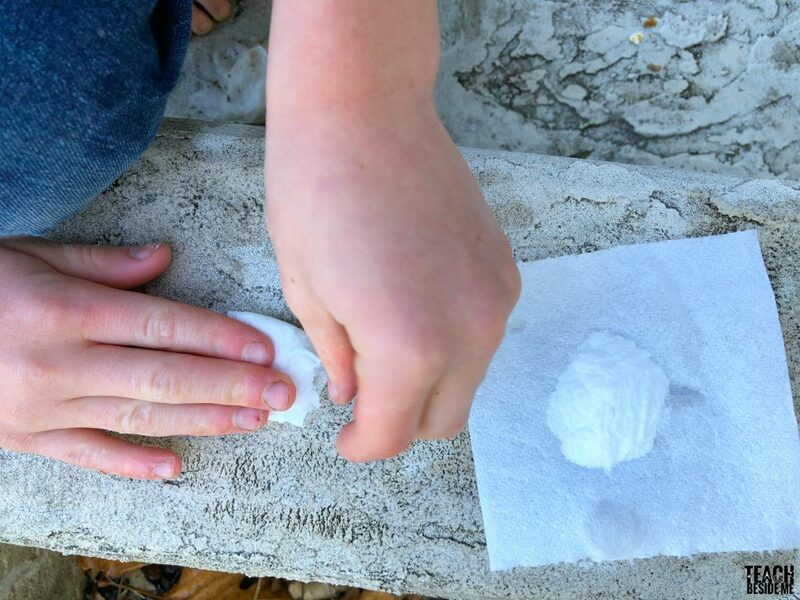 We LOVE to make these quick bottle rockets made with baking soda and vinegar! They are so easy to put together that I really don’t mind doing it. 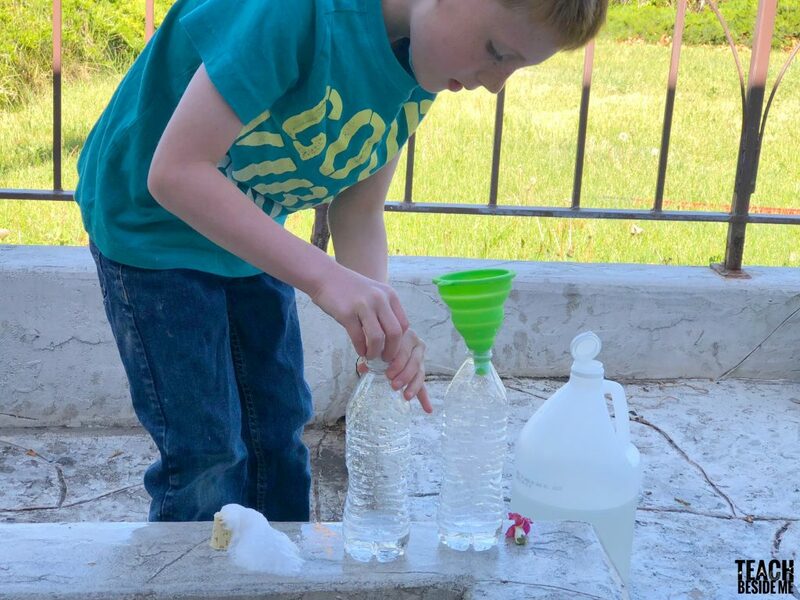 Some science experiments are on repeat at our house because my kids love to do them so much! What do you say? 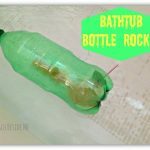 Do you want to learn how to make a bottle rocket? Pour about an inch worth of vinegar into the bottom of the bottle. Put about a teaspoon of baking soda onto the tissue square and fold it up (this will create a time-release packet). This is most definitely an outside project! You can get as messy as you want. When you are ready to watch it explode, drop the baking soda packet in, put on the cork- tight, but not too tight- and let it explode. Place it cork side down to watch it fly! You can do it two different ways. Right side up, the cork just pops out. If you do it with the cork side down, the bottle flies up- that is lots more fun! It happens so quickly that it surprises you! 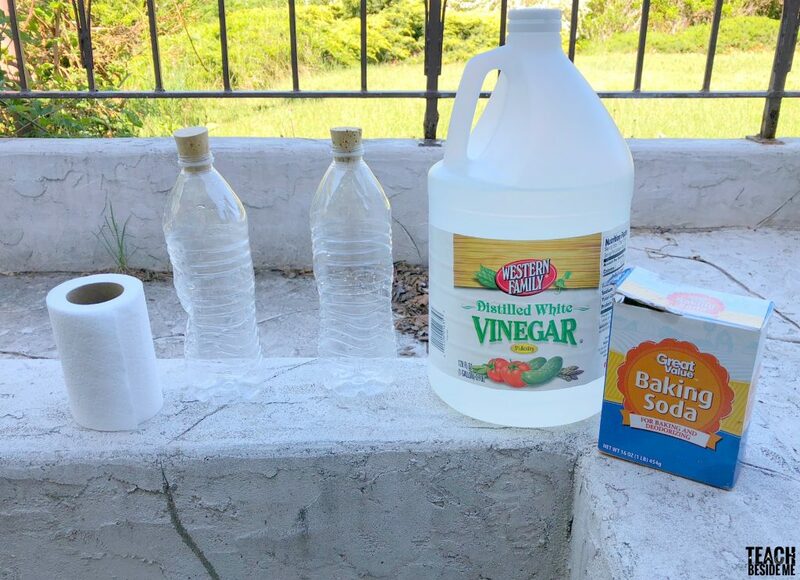 How Does the Baking Soda & Vinegar Bottle Rocket Work? 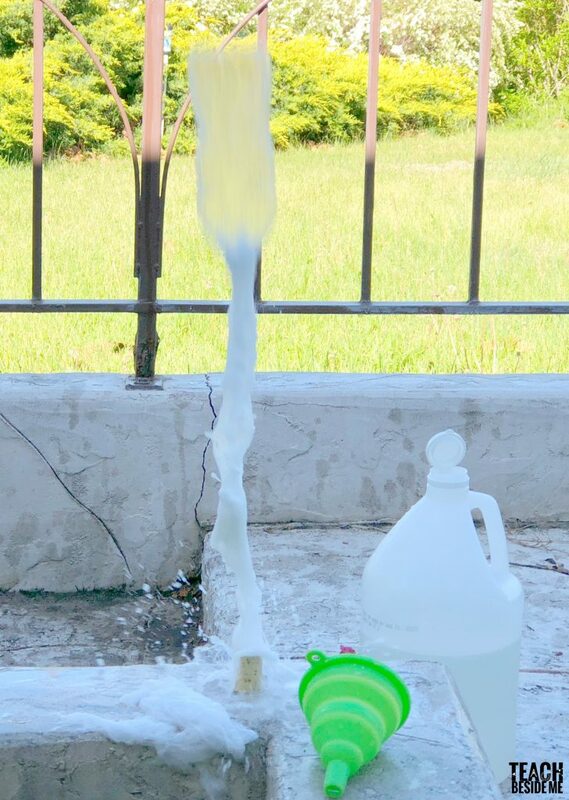 The reaction between the baking soda and vinegar is an acid-base reaction. When the two combine, a gas is released. With the cork stopping the gas from escaping, the force of the gas pushes the cork out making the bottle fly! 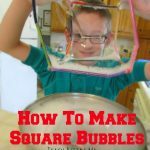 This makes a most fabulous science experiment that kids are obsessed with! 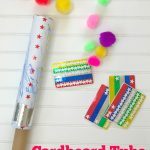 Check out some more rocket activities! Newest follower from Mom’s library! Would love it if you could come by and follow back? Best day!!! I was looking at making a bottle rocket for an activity coming up and just clicked on a link without lookin at the website, and I see the cutest video with one of my college roommates in it. It was so wonderful seeing your beautiful face. And you made the rockets look very easy and doable. <3 Thanks Kelley! Love you, friend!